I have a one-way love affair with Amazon, and this worries me a little. Okay, maybe a lot. It started out small back in “the old days”. Amazon sold mostly books, and when I wanted an author’s back list and couldn’t get it at Barnes and Noble, this is where I’d go. Then, they started selling more stuff. I was skeptical at first, but the free shipping for a $25 purchase at the time really helped me get over my skepticism. I was working full time, newly married, and going to grad school at night. Time was a premium. Best thing was Amazon’s prices at the time weren’t any higher for the things I was buying at brick and mortar stores. Sometimes, they were even a lot lower. Another few years rolled past, and we were expecting our first child. I’d been buying a lot from Amazon at that point, but they hadn’t lured me into their Prime club yet. I actually thought it was pretty ridiculous to give $89 a year to get stuff a few days sooner. But, they knew exactly how to get me. They gave a free one year subscription to Prime to all new moms who enrolled in their mom’s reward club (the club has since been discontinued). Along with the Prime membership came a sizable discount on diapers and wipes, things I was about to need a lot of, and they promised to deliver in two days. I figured it was free, so I had nothing to lose. Yeah, they had me after the first few months. Like there’s any better transformer to be! More years later, and I’m still a Prime member. A paying Prime member. Not only that, but we now get monthly Amazon shipments. We tune in to their Prime streaming service, and our kids have loved several Amazon-created children’s shows. Once Netflix lost Sesame Street, we turned to Prime. I even got my kids a Kindle and was super impressed with the yearly subscription that lets them play a slew of the most popular kids apps, and with the subscription, all the in-app purchases are included. Want another life? Click the button, no fee required. Amazon was luring me deeper and deeper into the Amazon morass. Then, this year at Christmas, I was shocked at the deals Amazon was running on popular kid toys. They were running 20-40% toys that my kids wanted. Even if other stores had the items on sale, most of the toys were still cheaper at Amazon. I look at all of the plastic stuff invading my house, and a lot of it came from Amazon. I do my Christmas shopping early, so the two day shipping was nice but not necessary. Then Amazon started running specials where if you were willing to wait five days to get your packages, they’d give you $2 or more towards a digital purchase. Hello more Kindle books! Now I’ve been reading about the struggles of so many bricks and mortar stores to stay open. That’s somewhat my fault, right? I would way rather pop onto Amazon and have something magically appear at my door two days (sometimes in less than twenty-four hours) later than actually drive to the store, wade through the merchandise, hopefully find what I want, then wait in line to pay for it. About the only thing we get at the store anymore is toilet paper and paper towels because Amazon can’t touch Target’s pricing. My first thought was that Amazon was servicing a time-strapped American population. Sure, a lot their products don’t go on sale like they do at Target, Aldi’s, or wherever you shop, but I don’t usually bother with sales. Sounds stupid, I know, but if I need paper towels, I’m not driving 20 minutes out of my way to get them a dollar cheaper. My lack of frugality on this drives my poor mother insane, but I’m willing to pay $1 to keep 40 minutes of my time. 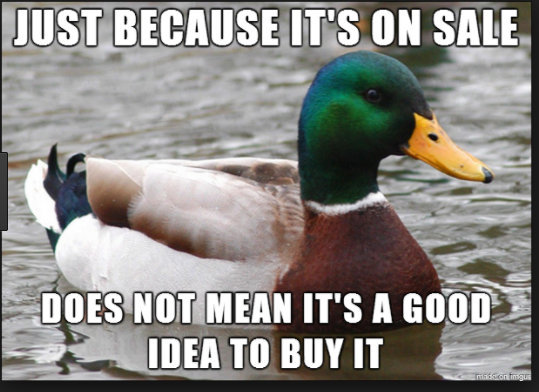 Or a good idea to drive two towns over to buy it. I am careful on Amazon lately as there have been instances where Amazon (no, not a third party seller, but Amazon), is quite a bit more expensive than other stores. Last year, when DD1 wanted a pony castle for her birthday, Amazon was $20 more expensive than Target or Toys R Us. Yeah, $20. They came in line a few weeks later, but I’d already bought it from Target by then. Once you start talking third party sellers, all bets are off. Might as well be eBay. So, I always check an Amazon purchase with other stores’ online offerings. But what happens if those stores go out of business? 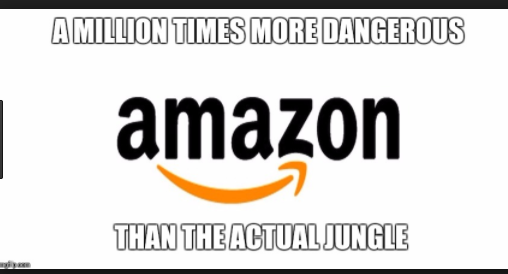 Does that mean Amazon can get away with charging me $20 more than I would’ve paid at Target or Toys R Us? I’d love to say anti-trust laws would come into play to prevent a monopoly like that, but I have no faith or trust in our government to enforce such rulings. Especially not recently. Will this concern change my behavior? Yes. I have been regularly checking Target.com for things and ordering if I can wait the few extra days for them to arrive. I love Amazon, but I’m not sure I’m ready to pay the price of assimilation just yet. How about you? Have you been lured into the Amazon morass? 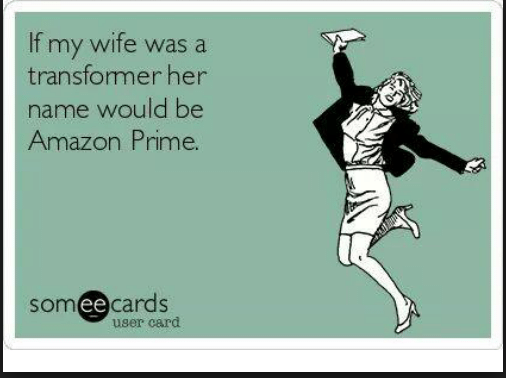 Are you a Prime member? Are you worried about them becoming a monopoly and crushing their competition to the point they can charge us whatever they wish? Back when dinosaurs roamed the earth, I needed to buy programming books that were often priced like textbooks. Very expensive. Programming information was not as easy to get online as it is now, and I had a career to grow and a family to support. Amazon came online and had those books for 30% or more off. This is what got me in the habit of buying things online, usually on dial-up or maybe on the company’s screaming fast 56k dedicated circuit. As someone who reads 2 – 5 books a week, Prime was a no brainer the first year it became available. By then I was buying most of my books from them, as well as many other products that they had for less. Since I also loathe shopping and crowds, having things delivered was ALWAYS better. Having them within 2 days was just a bonus. I probably hit maximum-Amazon-utilization a few years ago when subscribe and save arrived. There were quite a few things that they made it much easier to get in bulk and for less than I could them here, where groceries tend to be much more expensive than elsewhere. I fell into a trap: I thought Amazon was also cheaper, or at least competitive, and stopped doing my homework. Then a few prices on subscribe and save started to climb, and I did some homework. They’re often not. Mom and Pop stores were in trouble before Amazon. 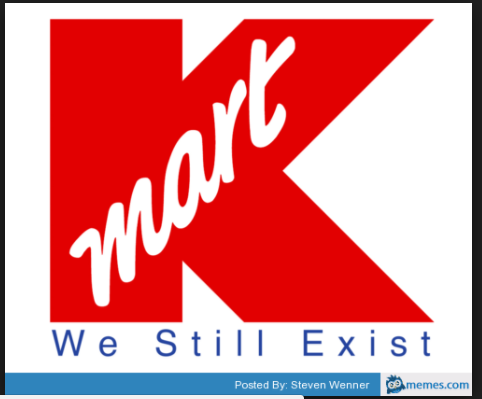 Walmart, Kmart (before they started coughing up blood and then tried to cure it by moving in with a plague victim,) Target, Ace, True Value, etc. have been threatening them for years. Amazon is largely responsible for the disappearance of most bookstores, but I have no illusions that if Amazon never existed, Barnes & Noble would simply have replaced with with Walmart-for-books and authors would be in worse shape, not better. That said, Amazon treats it’s non-technical workers no better than Walmart does. They just get a free pass since they they’re mostly new and shiny, and the people that write the news shop there and not at Walmart. Yeah, Amazon has done a better job with its reputation than Walmart. Not sure how deserved it is. I regularly check Target now to make sure Amazon’s prices are reasonable. They have lost my trust, and that means some of my business.